I have seen ejector pins buckle due to injection pressure when gating was positioned directly over the pin. This long column test will tell you if the proportions of your pin put it at risk of buckling. Of course, it is not restricted to just ejector pins. 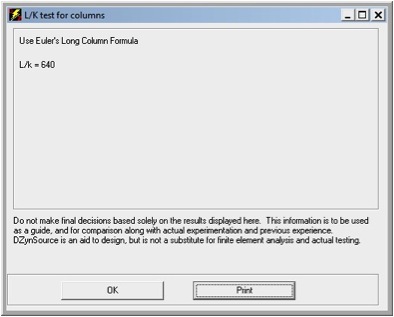 Parts that meet the requirements to be classified as “Long Columns” are likely to fail by sudden and catastrophic buckling. 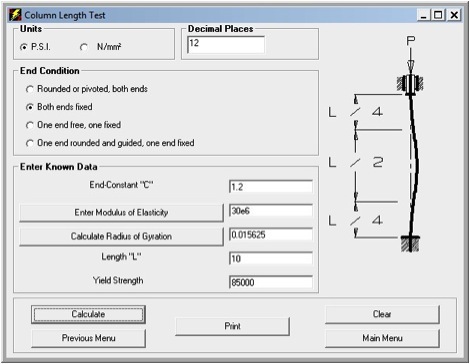 The L/K test will tell you if the geometry of your part meets the definition of “Long Column”.